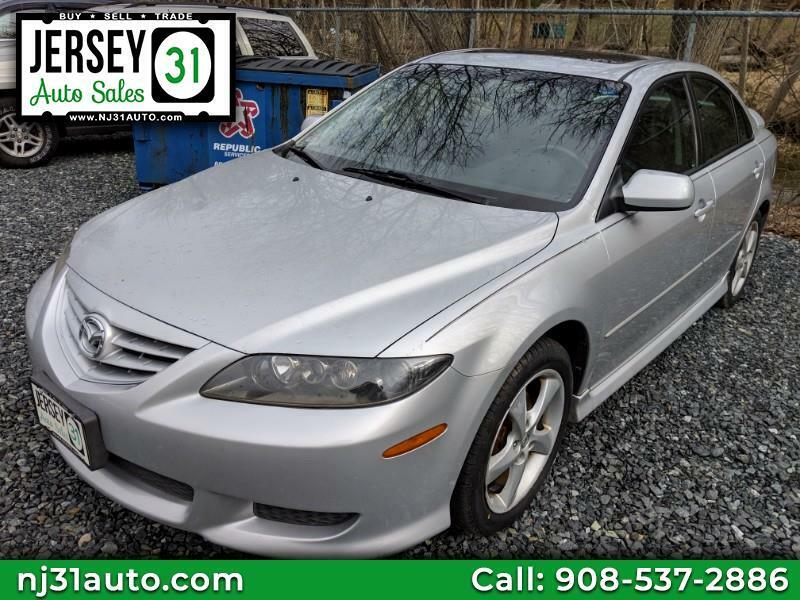 Visit Jersey 31 Auto Sales Inc online at nj31auto.com to see more pictures of this vehicle or call us at 908-537-2886 today to schedule your test drive. All features and options listed are descriptive of what can be expected on the vehicle. Actual options should be verified by the customer and dealer. Price may exclude tax, title, tags, government fees, any emissions testing charges, and any finance charges (if applicable). Unless otherwise stated separately in the vehicle details, price does not include processing, administrative, closing or similar fees. Please contact this dealer to confirm that this vehicle is still available. Current mileage may vary due to test drives and vehicle relocation. Message: Thought you might be interested in this 2005 Mazda MAZDA6. Thank you so much for the excellent service and honest salesmanship! We love our new to us vehicle. Would definitely refer our friends and family to you in the future!